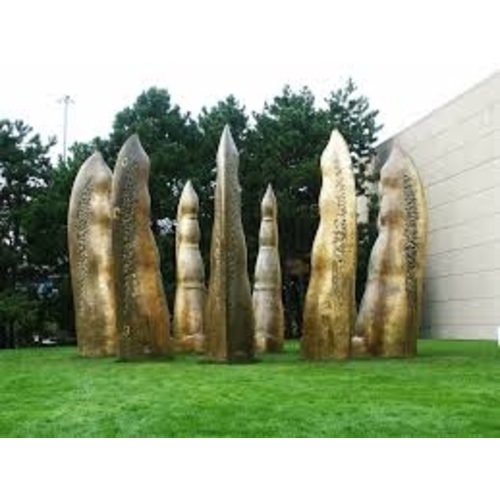 The monument consists of 10 golden pillars, around 5 meters high, resembling human fingers. set in a circle, the pillars have two sides: a smooth, contoured side facing towards the center, creating a sense of peace and well being as one stands in the circle. the other side, facing outwards, forms a sharp, unyielding blade. this interactive sculpture will invite visitors to walk in and out of the circle of pillars, to touch the gold, to sit on the small seat cut into each pillar, and to reflect on the artwork and the ideas that inspired it. 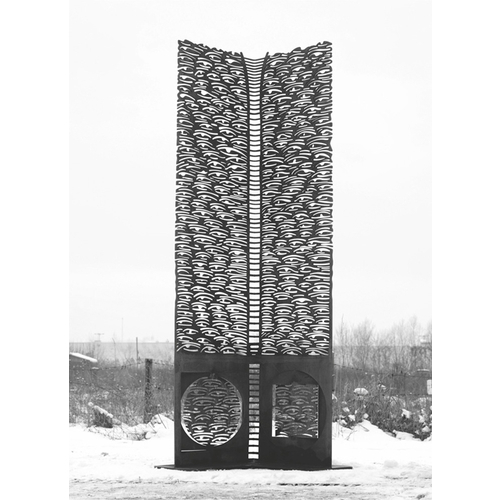 at one level, the sculpture is a study on the nature and purpose of law in society: to create a space for freedom and human flourishing, while providing protection and security. at another level, the work of art speaks of the universal human quest for peace and spiritual well being.